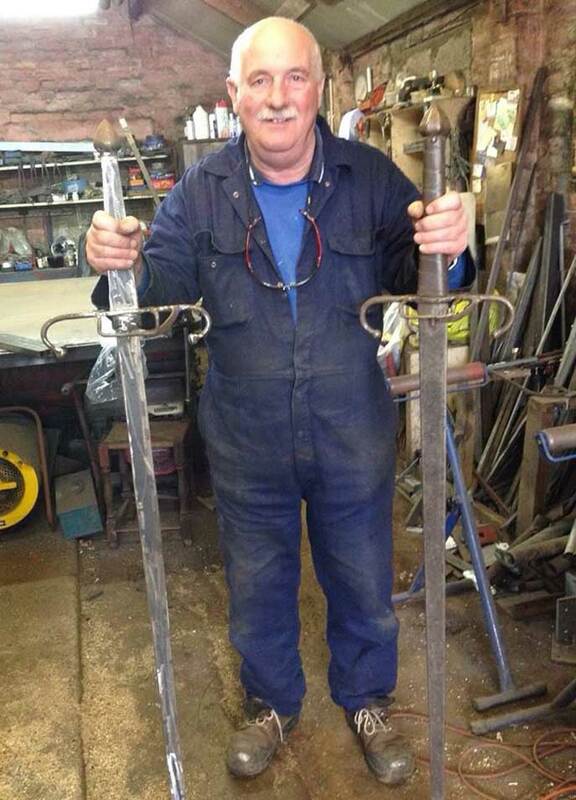 Duncan Fenton, Society Convenor receives not just one but two swords from Scottish targe maker and Society member Malcolm McNeill. 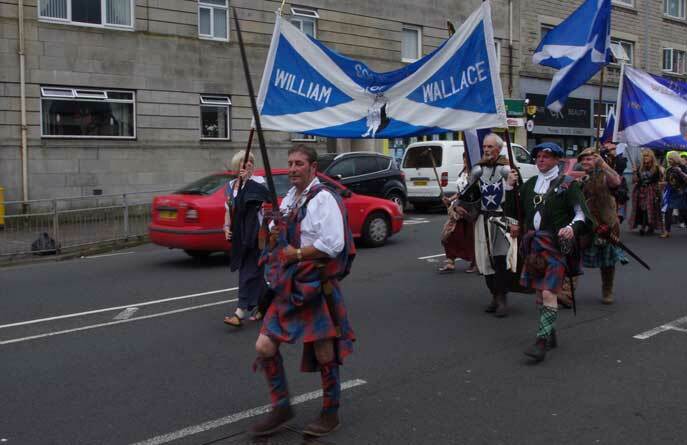 Malcolm very kindly let the Society carry his Wallace replica sword at every event we attended and told us that he would commission a copy of the sword for the Society to keep. A very generous and genuine offer indeed. 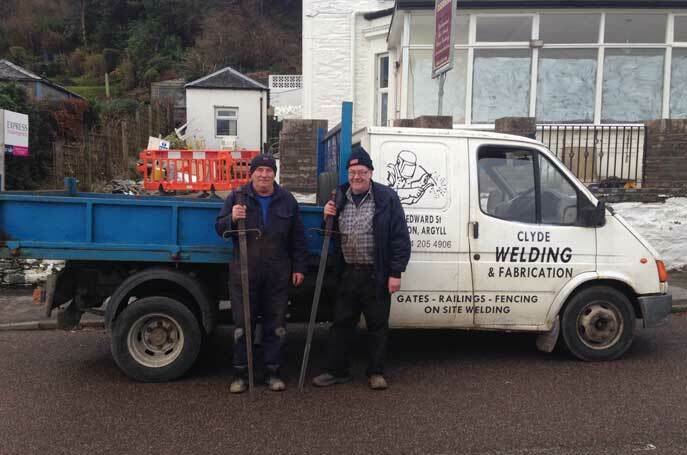 Malcolm commissioned two fine Scottish patriots called Neil and Jack, who work at local Dunoon firm Clyde Welding and what a job these guys did. 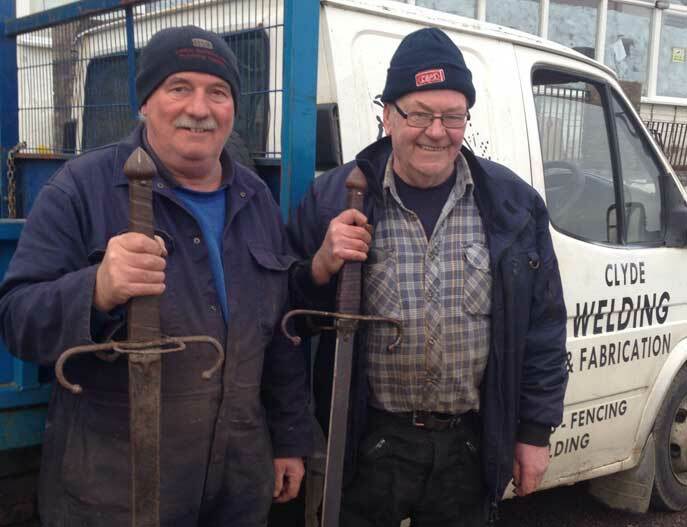 'Faither' did the oak wood work on the sword and Malcolm did all the leather and binding work at Glenbranter at Scottish Targe Makers Workshop, Ronny finished everything off and boy does it look braw. 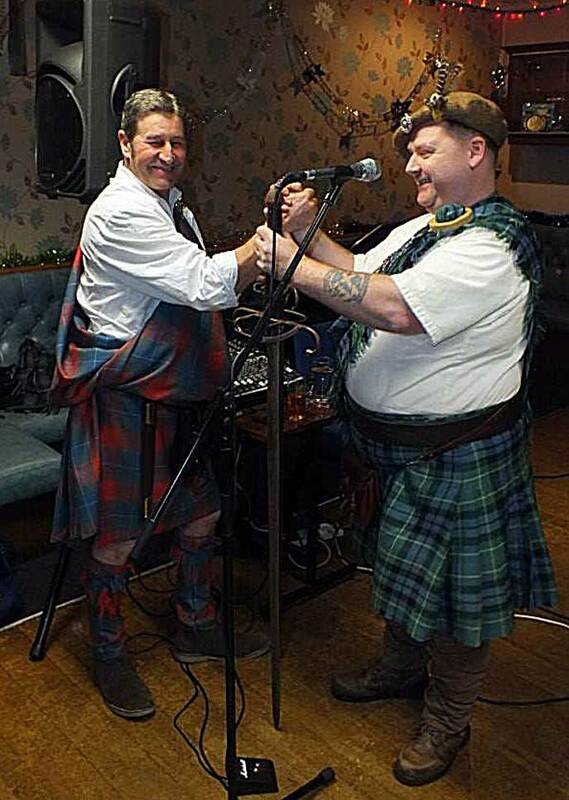 The first sword is a mystery; as Malcolm recollects, " when I ran my pub, a lad came in and said, you're a patriot aren't you, Malcolm says, Aye that I am, and the lad says, I've got something you might like" and boy was he right! Malcolm paid the guy what he asked for and gave him a few pints, he was happy and Malcolm was over the moon with his recent acquisition, it proudly sat above the bar when not on active duty. 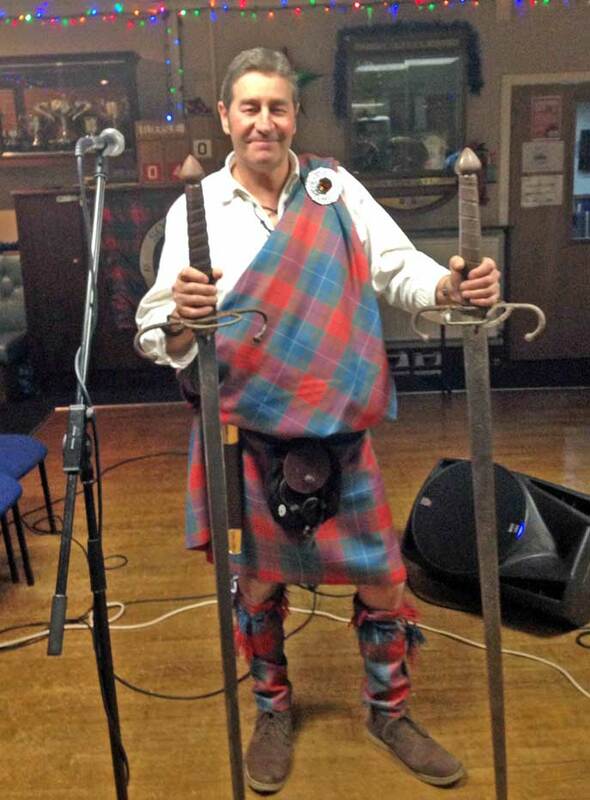 Fast forward to December 2013 where Malcolm presents the Society with the replica Wallace sword, Malcolm wanted to gift a replica sword to us on behalf of him and 'Faither' which the Society could use for all our events and beyond. 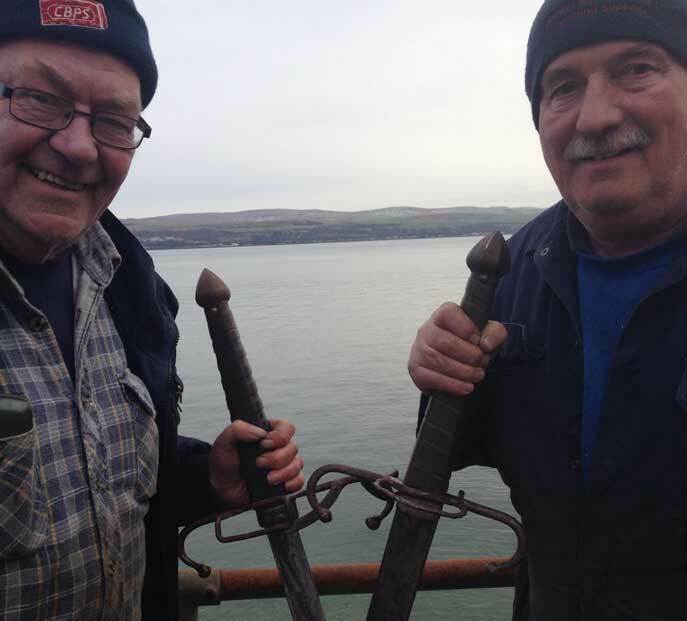 Malcolm presented Society Convenor Duncan with the sword which was a wonderful gesture, finding words to express our gratitude to him and 'Faither' are hard, especially when he gave us his own sword to keep as well. 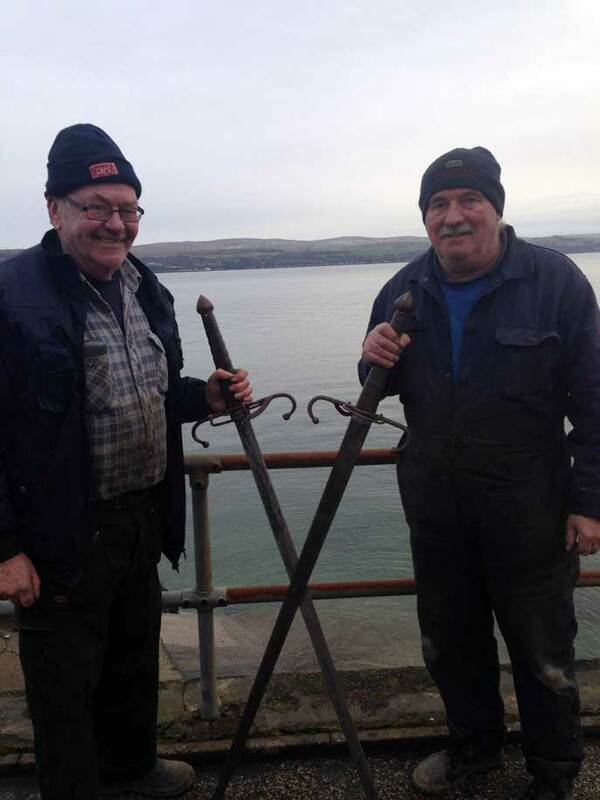 Malcolm and 'Faither', please know that your wonderful gifts will be used by the Society long after we have all gone, the next generation will proudly carry your sword in front of future commemorations and for that we thank you from the very bottom of our hearts.